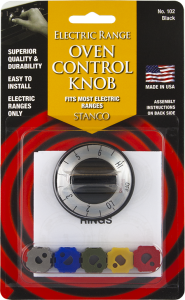 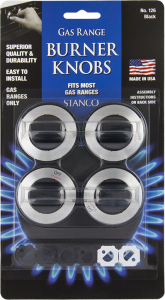 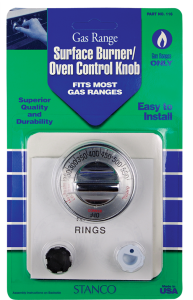 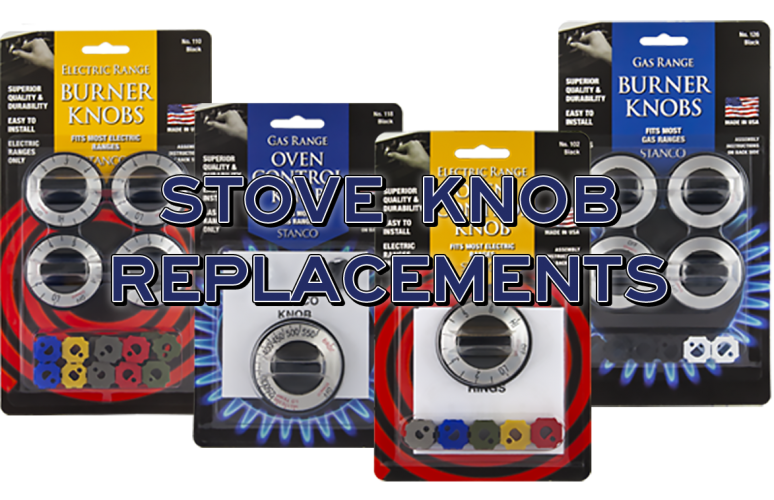 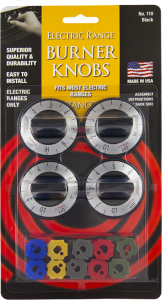 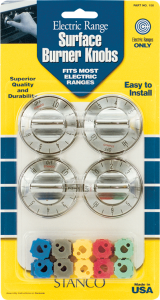 Keep your stove and oven looking new with Stanco’s Stove Knob Replacements. 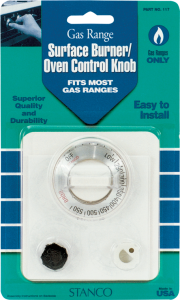 Each pack comes with inserts to fit most Gas and Electric units. 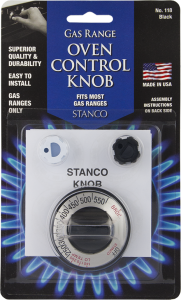 We offer black, chrome, and white knobs to meet your units décor.